Whether you are an athlete suffering from nerves or someone who lacks motivation to exercise, sport and exercise psychology can help. As the discipline of psychology evolves, more and more people are training to become sport and exercise psychologists. But how do you qualify, and when you do, what is the job really like? This is the first guide to this fascinating and growing profession. It provides an overview of what the role involves, the educational qualifications and training you will need to take, and what those first few years in the job are actually like. It includes a wealth of tips on how to make the most of the opportunities available. The book also features testimonials from people currently working in the field, who reveal not only what helped them along the way, but also what they would have done differently. 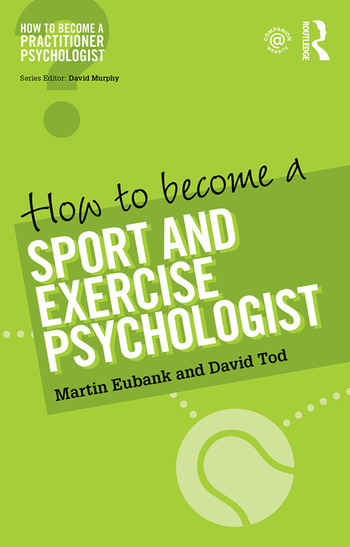 How to Become a Sport and Exercise Psychologist is authored by two of the leading academics within sport and exercise psychology in the UK, both of whom have a wealth of experience in the field. The guide is the perfect companion for anyone considering this exciting career. Martin Eubank is a Principal Lecturer in Sport Psychology at Liverpool John Moores University, UK. David Tod is a Senior Lecturer in Sport Psychology at Liverpool John Moores University, UK.